This quarter’s AdaBox is a welcome switch away from the Adafruit feather line of boards. 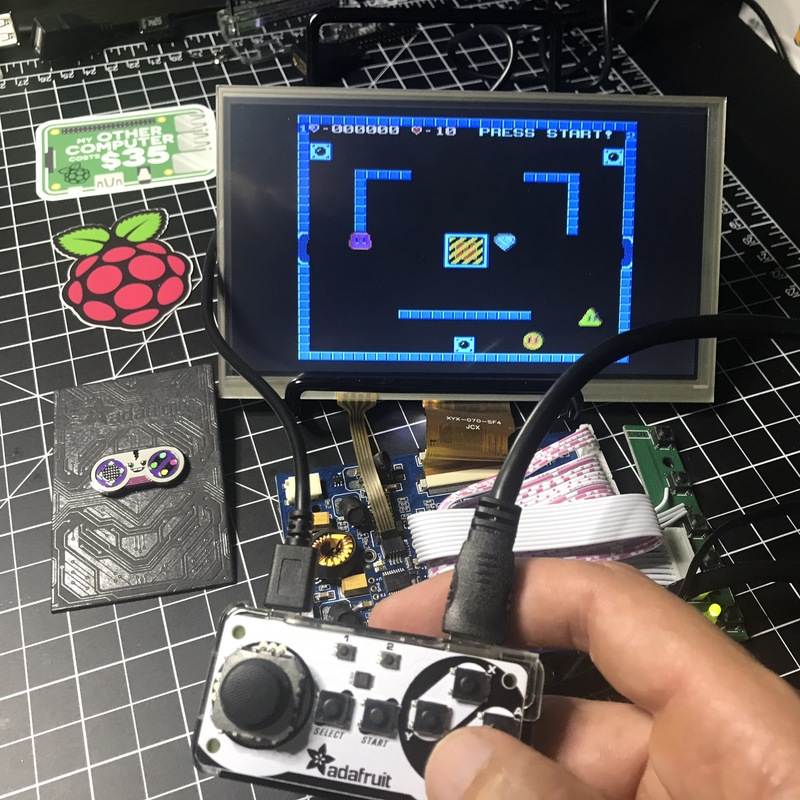 While I’ve created my own retro gaming device with a Raspberry Pi before, this is a nice kit with everything you need except a screen (you could use a TV). It’s a bummer that they didn’t opt for the Pi Zero W.
I appreciate the idea and can see that hammer headers would be a good option in schools where they can’t have soldering irons, but I’ll never use them again. It took me 6 minutes and I felt like I was destroying the Pi Zero. The Adafruit Joy Bonnet is a cute little add-on for the Pi. The first thing I noticed when holding it was how cheap the thumbstick feels and sounds. I wouldn’t expect much out of such a small controller that’s only $15 and snaps on to a Raspberry Pi though. When I get my 3D printer later this year I’ll make a case for this 7″ screen I bought a couple of years ago, maybe even with a way to clip in the Pi Zero. Or better yet, a Pi 3B, which is better suited for a retro gaming device. This is now my 8th Raspberry Pi. The 7th was named grasshopper, but what type of pie should I use for the letter H? Comment with your suggestions because the Wikipedia list I usually reference has two “H” pies I’ve never heard of.